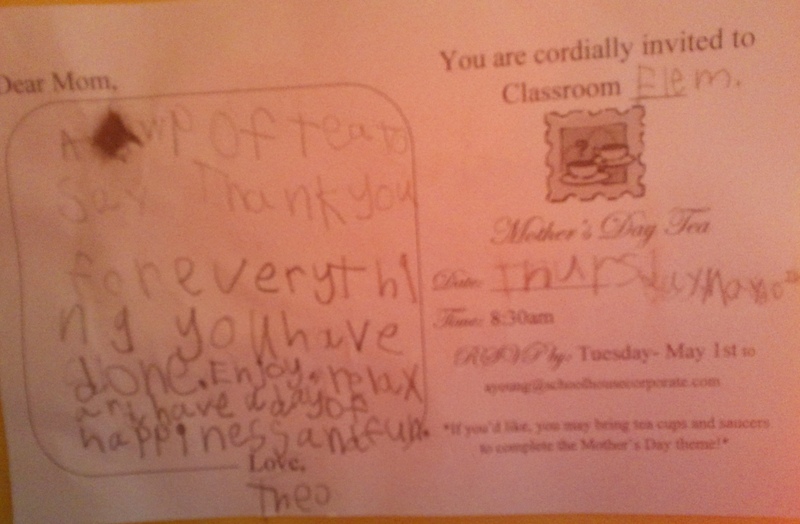 “Mommy, you are invited to my school’s Mother’s Day Tea Party”, Theo said as he gently handed the invitation to his mom. And while Amy would love to go more than anything in the world, her body just isn’t able to make it. But with the amazing help from bff Tabitha, that party was still going to happen. It might not be the exact day or setting as all the other moms and kids but as many of you know, Amy likes things out of the ordinary. With some power shopping and Theo picking out special gifts that he knew his mom would love, they had their own extraordinary tea party. 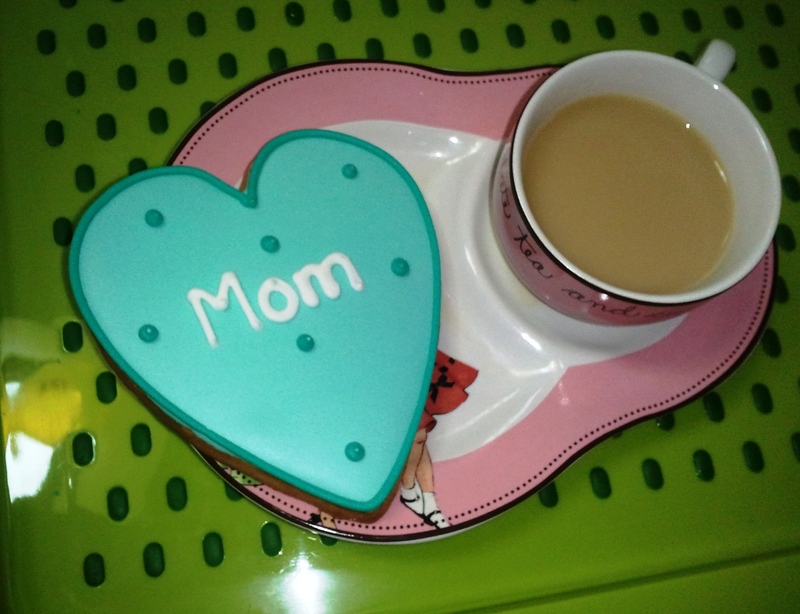 Amy’s eyes beamed as Theo carried in the tray with 2 teacups and a delicious cookie with the word “Mom” on it. Theo delighted in helping his mom open her gifts. When he handed her a teacup of pretty pink roses he made sure to tell her, “they’re fake you know”. It didn’t matter; Amy smelled them and gave him a sweet smile. Next was a colorful tank top with pink and orange stripes, a fluffy beach towel, and other gifts picked especially for her. 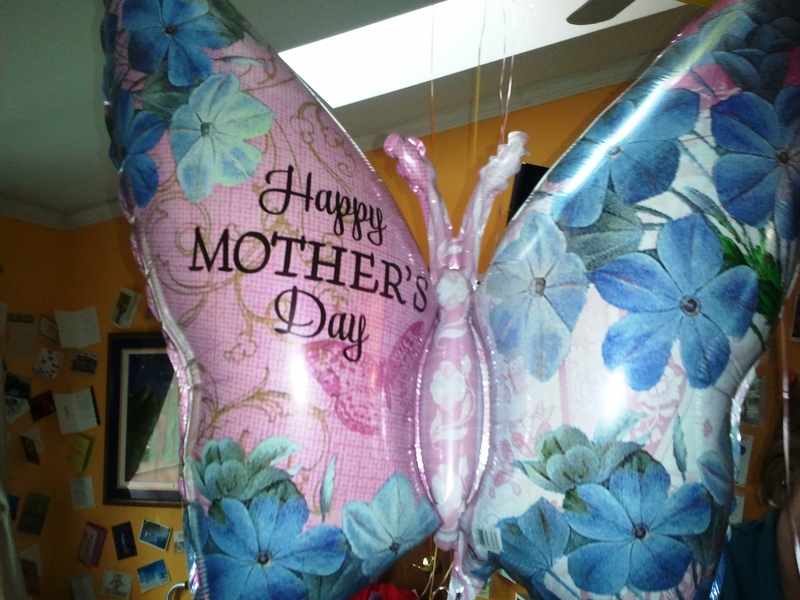 He also filled her room with a huge butterfly balloon and lots of yellow ones too; Amy’s favorite color. 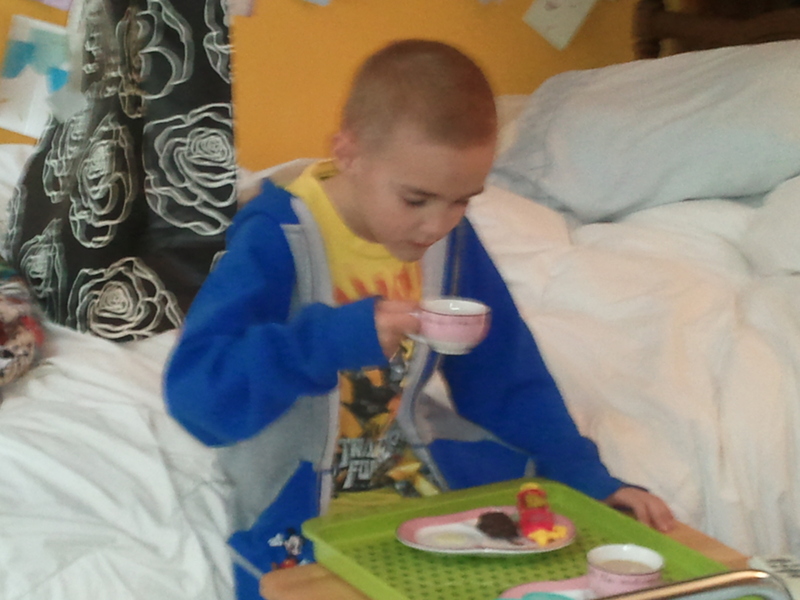 So together, they had their special mother and son tea party for two. Family, friends and great food. Tonight, Amy is at home surrounded by all three. 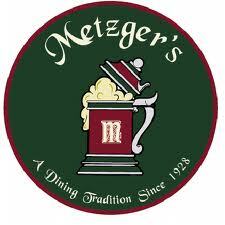 Not just any kind of food but authentic German Cuisine from Metzger’s German Restaurant in Ann Arbor, MI. It’s a family tradition that began as far back as she can remember. Making the journey from Farmington Hills to Ann Arbor when she was a child could sometimes feel like endless hours in the car. But when Amy took her first bite into a Schnitzel, well, she knew it was worth the trip. And so tonight, that family tradition continues. Amy, Don, Theo, Amy’s sisters Julie and Lisa, brother-in-law Dave, niece Emily, nephew Zach, as well as a few special friends, all gathered around the dining room table for this wonderful feast. German Schnitzel’s, Bratwurst, German potato salad and sauerkraut filled the house with a festive smell. Together they are making this tradition a part of Theo’s life that he too can one day share with his family. Amy is resting as much as she can and enjoying visits with family and friends. She is using all her strength to fight. She needs our prayers and support more than ever and she continues to be humbled by how many wonderful people she has in her life and how much kindness is out there in the world. We are all truly blessed to have her in our lives. 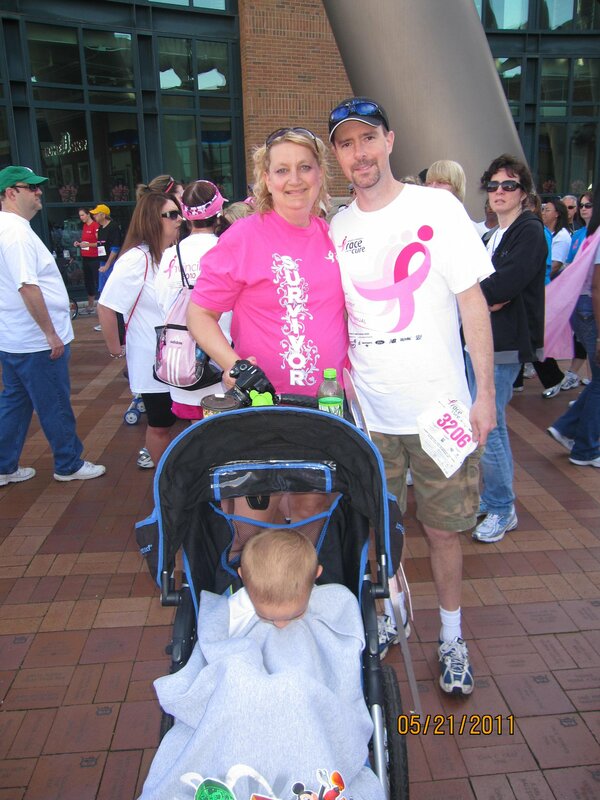 On behalf of Amy and her family, we thank you for keeping Amy near and dear to your heart. Amy and family continue to be elated with the response to the Photo/Card shower! One month later, she continues to receive mail daily with amazing stories, caring words, uplifting photos and continued prayers and inspiration. She’s also received shirts, sweatshirt, beaded crosses, monetary gifts and many other thoughtful unique items. 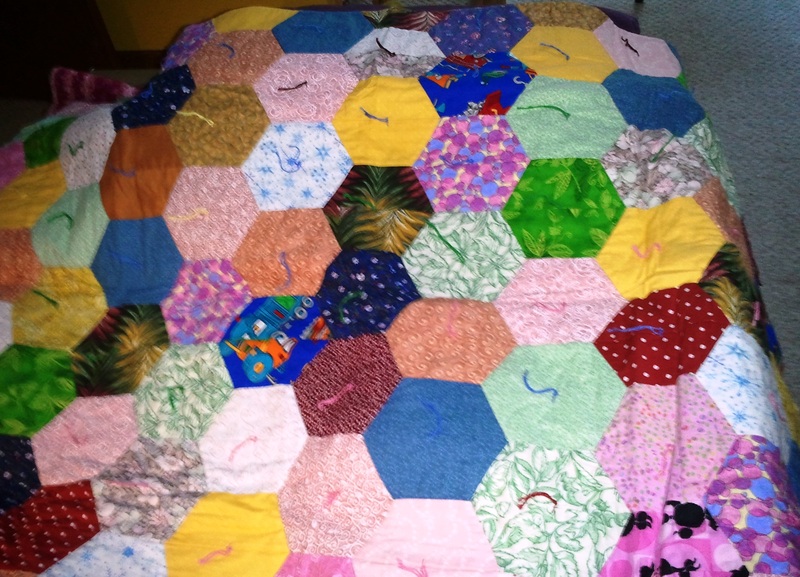 Above is a photo of one of those remarkable gifts sent by a blog follower, Mary, aka mommaquilts. It’s a Prayer Quilt. Enclosed with the quilt is a story behind it that we’d like to share with you. There are 3 commandments that are followed before giving the quilt: ask permission to give, it’s about the prayers, not the quilting, and no payment accepted for the quilt. It is a gift for you. This is just one example of how generous, kind and loving you have all been. I’m thankful that I get the honor to deliver these wonderful heartening packages to Amy and witness her beam as she opens them and reads them. Amy continues to be a strong willed woman and is fighting with all her might. Please continue to pray for her and that she finds comfort and strength knowing how much she is loved. We still have the PO Box open if you’d still like to send something. Thank you on behalf of Amy, Don and Theo! Short update….Amy has had 3 blood transfusions in the last week in addition to more radiation treatments on her brain. While this completely exhausts her, she continues to still have that twinkle in her eye and strong faith to keep on keepin’ on! Amy had a wonderful, blessed Easter day with Don and Theo and was surrounded by several loving friends and family members. She truly misses blogging but for now is using every bit of energy to heal within. But trust me, SHE WILL BE BACK to blog again! 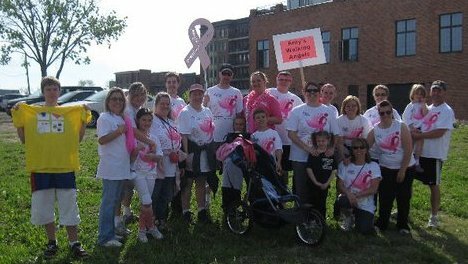 This is the link that will be used to join Amy’s Walking Angels- Race for the Cure 2012. 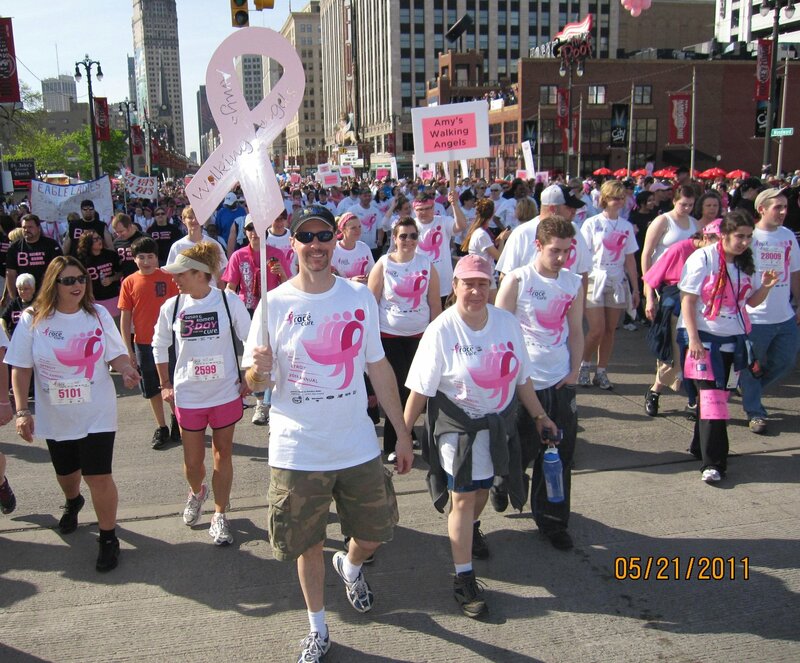 This year the Race for the Cure is on Saturday, May 26 at 8:00am at Comerica Park. It is such an amazing and uplifting event and Mollie would like to get as many people as possible to join our team and show their love & support for Amy. Mollie started this team back in 2006 when Amy was first diagnosed and has done it every year since. Team registration goes until May 2, so if you want to officially join Amy’s team, you must register by then. 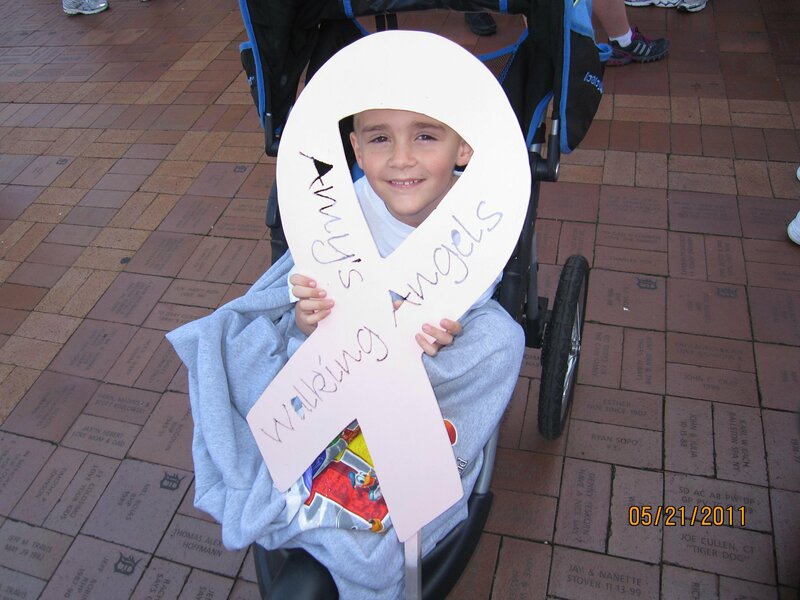 If you don’t you can still register as an individual and join our team to walk as well. The more the merrier. If anyone has questions or concerns, please email Mollie Finch at molliefinch81@yahoo.com. To Sign up or donate, please click on this link. Hope, love, encouragement, prayers, support; these are just some of the amazing words written with each card sent especially for Amy. Several of the messages start with, “You don’t know me but I’ve been following your blog”, they all shout out to Amy, that YOU can do this, YOU can beat this and WE are all here for you. This blog has not only united kind strangers but has shown Amy how truly special she is to so many. While each day is an exhausting struggle for her to do even the smallest of everyday tasks, she holds her head high and perseveres through the pain. She’s looking forward, not back. 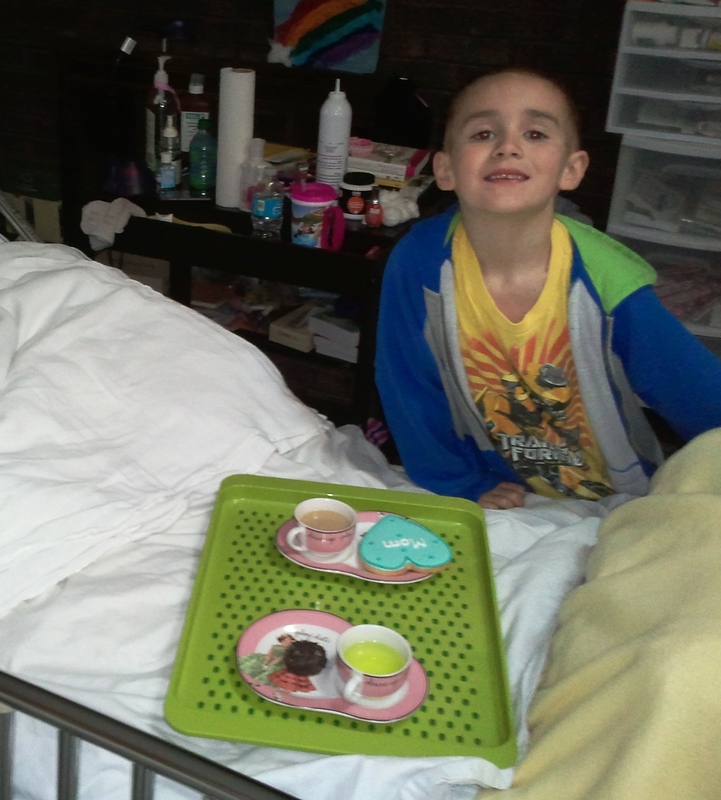 Last week Amy had 4 of the 5 radiation treatments but by Friday, her counts were too low and treatment was put on hold. Monday morning she and Don will meet with the doctors and see how her counts are and if they are up, she will get radiation at 1pm. Tuesday through Friday she is scheduled at 10:24am (Eastern Time). Thanks again for your support, prayers and love. 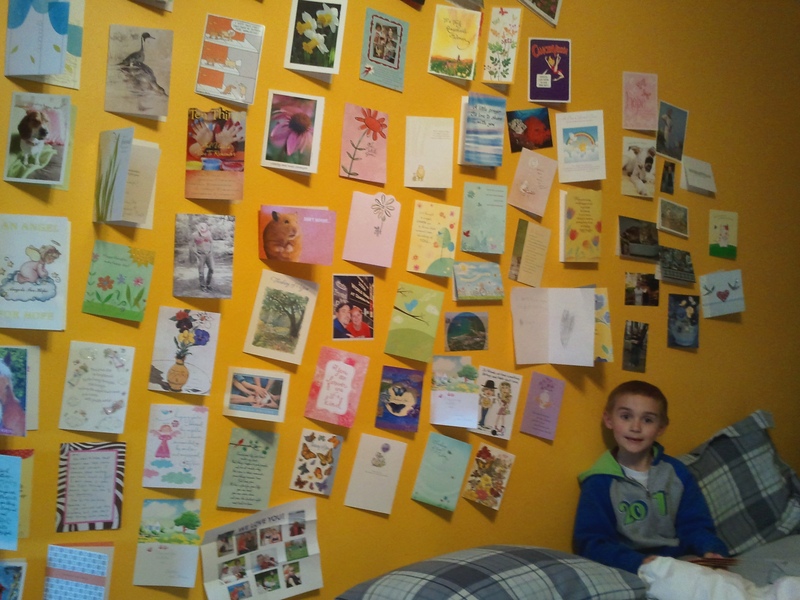 As you can see in the photo above, Amy and Don’s son Theo helped hang cards on the Wall of Love and his laughter was heard throughout the house when he played the musical cards. Music to a mother’s ears!